Chances are that if you learn German at school or study on your own at home, you won’t come across many insults in your textbook or app. German teachers are usually hesitant to teach you rude language and slang –the kind that might offend someone (or a parent) is typically avoided at all costs. Nonetheless, given today’s emphasis on using language to communicate with native speakers, you’ll have to learn slang and insults at some point. This is especially true if you plan on traveling to Germany for school or a job. Just imagine the English teacher standing in front of a room full of German teenagers and having no idea what insults are coming his or her way! Insults are also useful to know if you go on holiday or vacation. Germans do a fair bit of traveling in Europe and the chances you’ll end up sitting next to a German speaker at a bar are high. Most people are polite but if things get rowdy, you want to know enough language to talk back. Imagine you’re chatting away and laughing and you want to say ‘You’re so stupid!’ or ‘Shut up!’ but you don’t know how? That’s where we can help. Learn these phrases and then get in some practice using them. When a learner uses insults they often impress native speakers. They also tend to sound quite cute insulting people with imperfect pronunciation. Read on to discover some funny German insults to help you get more familiar with the German language. It’s real language. It’s the kind of thing you hear in movies, tv shows and songs. These are the words and phrases you’ll have coming at you a million miles a minute if you step into a German bar. The language that only those lucky enough to live abroad and learn via immersion ever seem to be able to pick up. 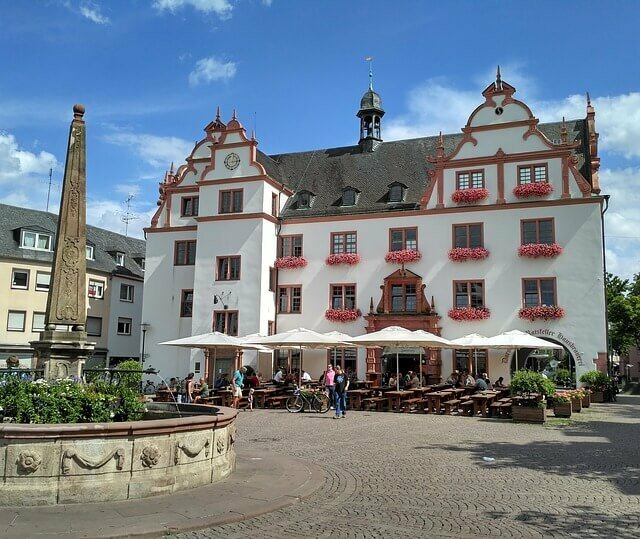 Moreover, if you’ve ever gotten into an argument with a German or hung out with a crowd who likes to toss back their pints at top-speed, you’ll quickly realize slang and insults are important tools for decoding German conversation and making yourself understood. 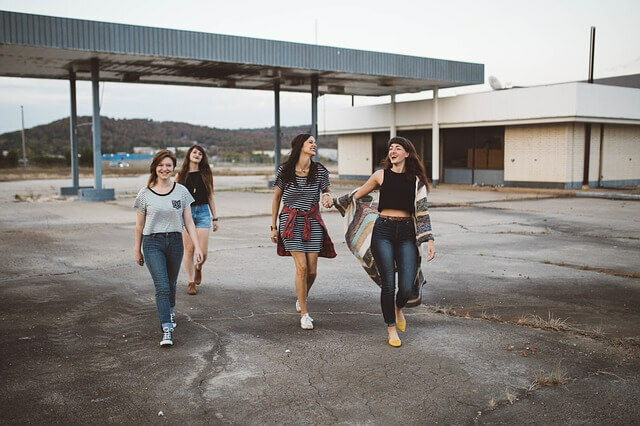 Slang can also be used to lower the formality of a conversation. Some cultures have formal and informal versions of the pronoun “you” and German is no exception (it has singular and plural forms too!) You’ll mostly be using du if you insult someone as this is the informal and singular pronoun. Steer clear of the formal Sie as it will make you sound pretty laughable to insult a person at the same time as you show them respect with your choice of pronoun. NOTE: Most pronouns in German are written in lower-case but Sie gets capitalized– think of it like Sir/Madame in English. What do Germans swear about? You can tell a lot about a culture’s priorities and taboos from the kind of swear words they use. For example, some countries like to talk about people’s mothers. Others are more concerned with insulting the honor of someone’s sister. There may be references to body parts, comparisons of people to donkeys, monkeys or other animals that fall low on the totem pole. As you’ll see from the list below, the Germans are particularly keen on insults that concern physical appearance and/or involve food. Sausage is a popular one. Butter, cinnamon and egg all show up too. Another topic is geography and land features. We see dirt roads and even farm animals are discussed. Insults can come in a wide range of severity, from phrases for teasing friends, to ways of expressing anger or annoyance. In the German language there are plenty of mild insults which we’ve shared below. There are also a fair number of stronger ones including swear words that you will surely learn on your travels. When might you need to pull a few insults out of your bag of tricks? With German friends. You may win yourself a few enemies but you can also be entertaining. Germans love a good laugh and a foreigner using insults in German can definitely inspire a few chuckles. At a pub. You can say pretty much anything you like at a pub in Germany. Just take care that the mood is jovial and you won’t be insulting anyone who might take it too seriously. Brawls can be a dangerous thing when you don’t speak the language very well! Keep your voice down. Sometimes language learners forget the impact they can have when speaking in another tongue. While you may want to shout your newly learned words at the top of your voice, you never know who is listening. Consider what it would be like to say an English insult loudly and how jarring it can be to hear someone else using inappropriate language when you are out with your friends or family. Keep your voice down and remember that when you speak in German everyone else in Germany can understand you! Not in front of the elderly or children. Germans are big on rules and respect. Follow basic politeness rules and keep insults to a minimum in front of anyone who would be upset by them. Not in formal settings. Insults are insults and they don’t have much of a place in an office, school or family gathering. It’s all in the delivery. Germans tend to be pretty direct in general. If they think something they’ll be honest about their opinion which can be a bit shocking for Englishmen and Americans who are used to a bit more cultural hedging, especially in more formal settings. Thus when it comes to insults you can expect the same frankness. A German delivering a one-liner like “asparagus tarzan” to tell someone they look skinny and saying that phrase in a really serious way tends to make English speakers laugh. 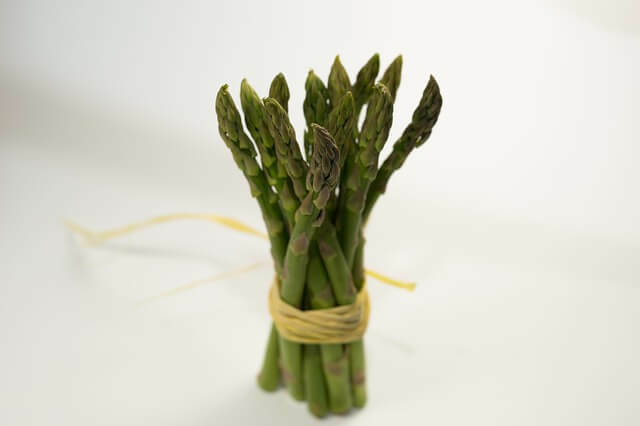 On that note, asparagus is considered the king of vegetables in Germany– people love it! Thus some insults can be endearing and or simply so ridiculous they make Germans laugh— in their own special way. Zimtzicke – ‘Cinnamon goat’ (annoying person). Brot kann schimmeln, was kannst du? – ‘Bread can go mouldy, what can you do?’ (Stupid person). The great thing about learning insults is the grammar isn’t usually too complicated. You can get away with learning the phrase and just slipping it into conversation as a unit. This is the same in any language, but if your German isn’t quite up to snuff then you need to be really careful. After all, no one wants to be in that awkward situation of saying something inappropriate at the wrong moment! To begin with, stick to more subtle forms of practice and gradually move on to using them on real people. In the shower. Raise your voice, get angry, get mad and get insulting in German. Hold that shampoo bottle and threaten to throw it at the tiles. You’ll get the full effect from the echo and it will help you work on pronunciation. On your way to work. Don’t like the traffic? Insult the other cars and drivers to get some practice. No one can hear you and what are the chances that they would understand if they did? In your head. You may be on a subway car full of people but we’re sure you can think of a few insults you might want to get off of your chest. Practice makes perfect so tell yourself or mutter them under your breath– just be sure there are no Germans around. With your pets. They won’t take offense if you call them a sausage (especially if they’re a sausage dog). Pets are excellent conversation partners because they’ll listen to you no matter what you say and they can’t talk back. With inanimate objects. Have a tv set that won’t come in or an iPhone with a cracked screen? Insult that object with all of your fury in German. You get practice with insults and you’ll be able to make a German person laugh if you ever have an audience. With close friends (who speak German). Back and forth banter can be a great way to casually work up to using insults as part of fluent speech. Make sure you clear the air in advance and let everyone know what you are doing so they don’t suddenly think your personality has taken a turn for the worst. On top of this, it’s also hugely important that you get these phrases out correctly – you wouldn’t want to insult someone and have them not take offense because they didn’t understand you. And while accuracy is key, so is delivering insults in the correct tone. Speak inside-voice German during language lessons but practice shouting German too. Can you do a sly whisper? How about sounding angry, sarcastic, upset, vengeful? Think of yourself as an actor and try on different voices, roles and personalities in German. Use German films and tv shows to inspire you. YouTube has plenty of content for free and is a great place for language learners to start. While you’re there, don’t forget to brush up on your politeness vocabulary too! Want to work on your German pronunciation? Try the new FlashAcademy app! Do you have any German insults to contribute? Share them in the comments!